3. Is nothing properly explained? Does the article scare you without really explaining why you should be scared? It is said that the true test of understanding a topic is when a person can explain it clearly to another with no background in the area. If a post isn’t written clearly, it’s a sign that it’s either been written by someone who doesn’t understand the topic that they’re writing about, or the writer is keeping it muddy on purpose, to be able to twist facts without a clear way through which these can be untangled by the reader. Either way this is not ‘science’ writing that you should trust. The margarine post shared on the previous page is an example of such shoddy writing. 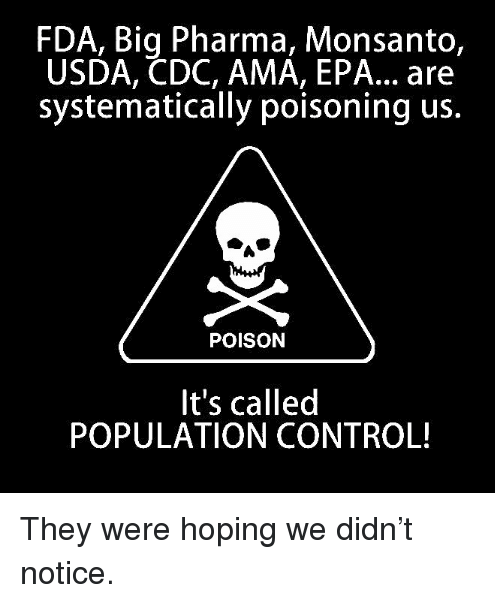 When this kind of writing is combined with a reference to a conspiracy that government/big pharma/any other ‘evil’ corporation does not want you to know, such as that below, stop reading immediately. One last step – read on to page 4.